My account is Aymstrong308 and im a big fan of Jotform, it is really the best piece out there. What i meant is: there is no option to let the client clicks on Others and then to type in what he wants. Here's an example of such a form. You can clone it, replace its dummy "Recipient E-mail" address with your own and do a test submission to see what the notification would look like. Should you need further assistance with this or any other feature of our product, please let us know via this forum. Our team will be happy to help you to the best of our abilities. The solution I provided above is like using a sledgehammer to kill a fly! 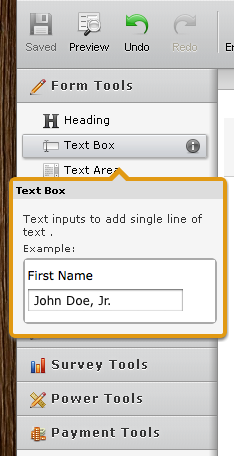 Seriously, I TOTALLY overlooked the tool in our form builder that would accomplish basically the same result.